Just days after Apple released iOS 6.1 to the public, iOS 6.1.1 was released to developers. It's not uncommon for companies to quickly begin working on the next version of their software. What is unusual is how quickly the beta was turned over to developers outside of Apple so quickly. We might now know of the drivers to get iOS 6.1.1 out into customer's hands. A number of reports have sprung up over the last few days indicating that the battery problems reported after the release of iOS 6.1 could be related to a bug in Microsoft Exchange Server when a new recurring meeting invitation is received by an iOS device. There is a growing thread on Apple's own support forms that suggests and unnamed employee working for 'the fruit company' suggests as a workaround fix for the issue until an official fix is released. 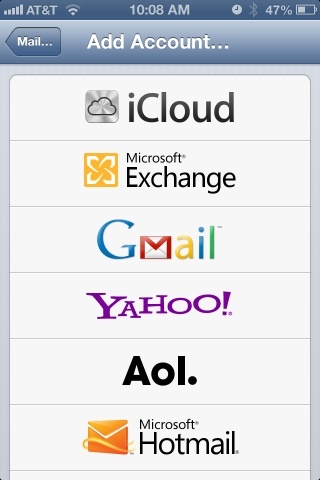 The bug in iOS 6.1 is a ping-pong infinite loop trying to talk to the Exchange server. Unfortunately, just rebooting doesn’t fix the issue. Deleting the account is necessary to remove the problematic invitation response from the queue. In other words, if you use your iOS 6.1 device with an Exchange Server, it is a good idea to not accept recurring meetings until a fix is released. I have a company issued iPhone 4S and I have not seen this issue, but then again, I don't receive many recurring meetings, and if I do, I then to reply to those meeting invitations from Windows 7 laptop with Outlook 2007. For more on this store, visit iDownloadBlog.com.